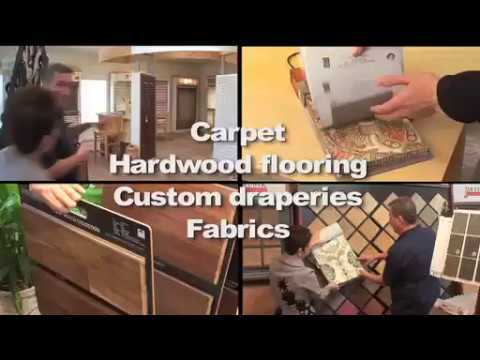 At Window Accents and Flooring we are dedicated to your complete satisfaction and we have been Central New Jersey's full service design center for over 15 years. The owners, Paul Silva and Paul Veronsky have been in the window treatment business for over 50 years combined. Together, they have put together a talented team of designers and decorators that are able to work on projects large or small. Whether it's blinds or shades, wood flooring or carpets, you can expect the same level of attention to detail. Our showrooms showcase the Hunter Douglas product line with full-size samples, so you can see, touch and operate each product, including Duettes, Silhouettes, Parkland Wood Blinds, Heritance Hardwood Shutters, Luminettes, Vignettes, and Provenance Woven Woods. We also offer a huge selection of fabrics for drapes, roman shades, bedding, pillows, and upholstery. Fine wallpapers, Mohawk Carpet, hardwood flooring, and retractable awnings round out our offerings as a one-stop-source for all of your home decorating needs. Window Accents & Flooring Hunter Douglas Gallery showroom. "Your house will never look better and you can always count on us to answer any questions at any time. Hope to see you soon!" Paul Veronsky started Window Accents in 1987 as a shop at home service. He now has over 30 years of experience and has hand picked a terrific staff. He is still hands on measuring, installing and trouble shooting day to day activities. Paul recently became a Hunter Douglas Master Installer and is a motorization specialist. Robert is a graduate of The Fashion Institute of Technology, NYC. His skills as a drafter and attention to fine detail has made him an invaluable employee. We are proud to have him as part of our staff. Ilene is fantastic with customers. Her product knowledge and outgoing personality shines when helping find the perfect window treatment. Paul Silva brings 33 years of experience in the window treatment industry to Window Accents and Flooring. He spent 31 years with a fabricated wall-covering retailer in Essex County until he left in 2003 to manage the custom window department at Town and Country in Fairfield where he stayed until 2009. Heavily focused on custom treatments involving draperies, window treatments and blinds, Paul aquired a masterful knowledge of product lines. He was able to combine that expertise with his philosophy of exceptional customer service to transform Window Accents into a place people can trust. He is also a Certified Hunter Douglas Installer and has years of experience with flooring, including hardwood and carpet. "Your house will never look better and you can always count on them to answer any questions at any time. Hope to see you soon!"